Custom bullets for Hellboy's oversized Samaritan revolver. Made as a gift for friend. The Special Purpose Ammunition is not based on anything that actually appears in the Hellboy mythos but I tried to came up with ideas that would I felt would fit in. The shell cases were turned from solid brass rod. 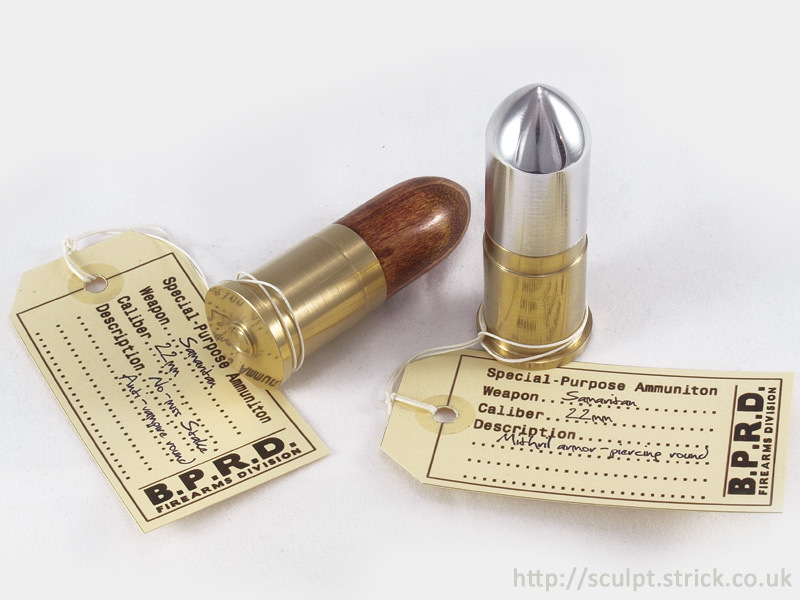 The bullet for the 'Mithril Armor-Piercng' round was made from aluminium and the 'No Miss Stake' anti-vampire round from polished beechwood. The shell case dimensions are based on the movie prop but I extended the bullet length, reasoning that the extra space in the Samaritan's huge cylinder might have been made to accommodate them. The ammunition will fit in the Sideshow Samaritan replica, albeit rather snugly. 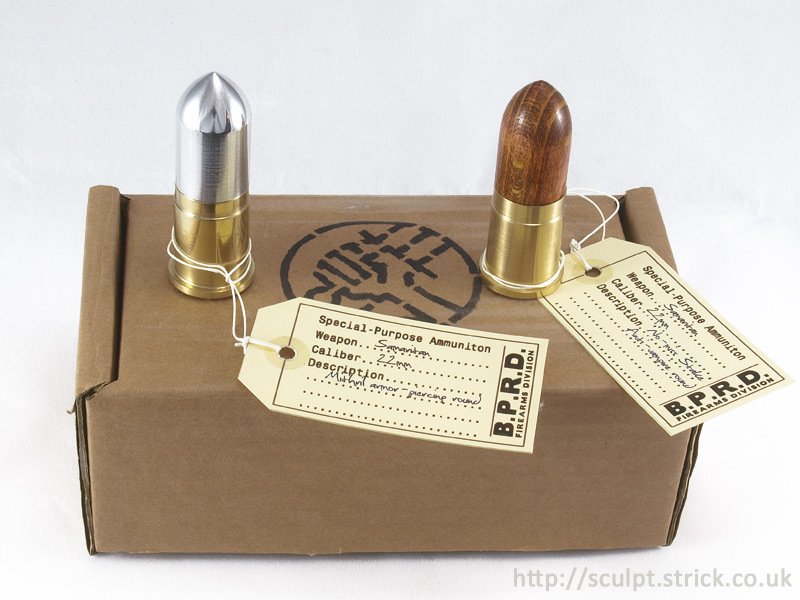 I blatantly borrowed the style of the labels from those that come with the excellent Skelton Crew replica props as I knew my friend was a collector and might want to display the custom rounds with them.